Looks like all screenshots do to me! I can’t lie - I’m always impressed with the screenshots, and I’ve never been upset with the “Arts” department over there at Tiburon. I just cannot place too much value in a screenshot. You know that it is the absolute best picture that they can put out. Much like online dating, lol! Gameplay video is where I feel you get the most true value, and see what has really changed. 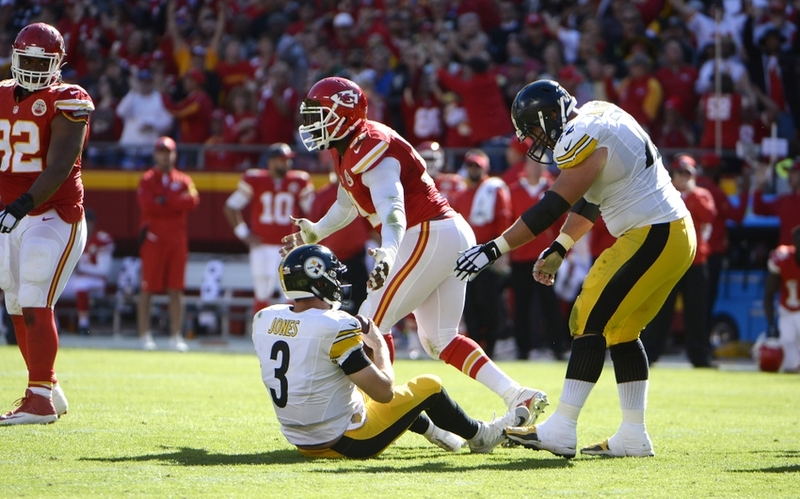 What exactly is happening in the Steelers pic? Earthquake? Is #19 really Kylo Ren using a force push? :nocomprende: All kidding aside, the screens look great. Looks like team celebrations after TD's???? Looks good!! Since we have no gameplay vids to dissect, the people that care about player likeness/equipment accuracy it appears (Ju-Ju Smith Schuster screenshot) get another year without mouthguards. I'm scared. I actually think lighting looks worse. Looks very dark and Madden 09ish to me. The textures look really good though. Game looks ashy as hell, lmao. First time in a long time where I don't think the game looks good in stills. Definitely reminds me of Madden 09, which was absolute garbage. Hopefully it's just some filter or something. Can't wait to see it in motion since they're touting new movement/animation. What is with all of the grass stains and dirt in the Jets/Giants and Steelers/Ravens pics? Those are turf fields, shouldn't be grass and dirt all over the players. Blades of grass are also flying in those two pics, where it is not a grass field in either venue. They know these things, but choose to release these as their first pics? Very strange. Don't care for the lighting. Looks like all dusk games, but the lights in the stadiums are on, so there should be more light in the stadiums than what is being picked up by the camera. Not liking the look at all. Looks very dry and gloomy. Like a bad snapchat filter or something. Hopefully it's just these few pics that look like this. I'm hoping this is just really bad like 630 pm lighting. Speaking of that...make the Super Bowl at night unless it's on the West Coast in the game! I think Juju Smith is throwing some kind a force wave over others players !!! Hey I'll take a trade. If it doesn't look good in stills but actually has fantastic player movement I'll take that trade. I shouldn't have to given the systems we have but if I had too I'll take that trade. I feel like the graphics just don't pop like last year. Absolutely! I just don't trust these guys to do it, lol. I'll DEFINITELY take the trade as well though. If the game FINALLY moves well and realistically, I'll be extremely shocked and happy. I'm def. going to turn the brightness and contrast setting up in the visual menu this year if the game is going to look this dark and dull. Can we do that in game already? 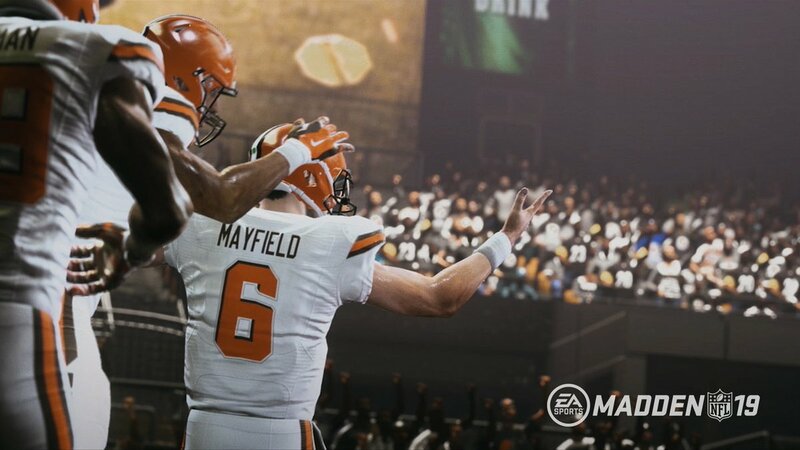 These screens look eerily similar to Madden 09... and with RPM + celebrations being the feature set I have a feeling it’s going to be the same bs lol. That game was hot garbage and the way M18 rolled out, M19 is looking like a big no for me if that’s the case. I like the screens, they are all time of day/dome shots. a lot of shadow on the field. looks like madden. I sure hope so. My first reaction when looking at these was "PS3". I'm not being a downer. I love Madden and loved 18's graphical look. These just do not look appealing to me other than the texture and degradation. Lighting is off. Yea just go to settings and visual near the bottom of the screen and you can set the brightness and contrast to very low, low, medium, high, and very high. Yea no problem this is actually a feature I wish other sports games had in it too. Looks like a new td celebration with JuJu throwing hadoukens. Contrast is way to high. Not good! Visuals look grittier, I hope this is just unpolished graphics, because it looks like the football version of Battlefield. I honestly feel like some "artistic license" was taken with these screenies to help the texture detail "pop" more....explaining the unusual contrast and so on. I wouldn't fret too much about it. I think these screens look great and will most likely look even better on my 4K. On a slight different note, I always feel the size of the cleats look funny are sized wrong. Hopefully, with new player movement they won't have the duck walk thing going on. Were the feet are pointing in the outward direction. Not necessarily, last yr I was told they didnt even have 4k moitors down at EA Play. 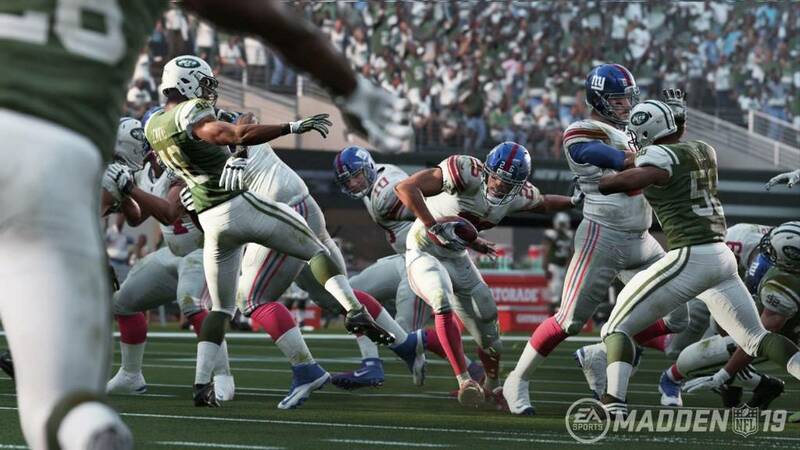 That's what I was gonna say that this looks oddly like Madden 09' for whatever reason. Then you're crushing a ton of detail and throwing color accuracy out the window. My eyes are already bad enough I need bright and colorful lol. I just like that it looks like Juju is throwing a kamahameha. Beyond that, the lightning does look better than 18, but 18s lightning was no slouch. Everything though looks the same for the most part, maybe toner and tall models? From these screenshots I don't think color accuracy was much of a priority. I would do contrast & brightness on high in the Madden menu. Looks amazing. I know someone said no mouthpieces this year from the ju ju pic but I’m blowing up the pic and I think they snuck one by us. It actually looks like he’s wearing the Dracula or monster teeth mouthpiece imo obviously I could be completely wrong. The reds for the Giants and 49ers looked faded or washed out. It just looks off. The TD celebration looks cool. Lol, it actually does look like something. It may be a reflection. I think there's really a lot to love about the first screenshot, which at first glance looks like a mess. RB is running through a hole that I'm not sure we could run through in many other Maddens. He's low and the QB is still reaching back having just handed it off. His arm is against the lineman, and every single person in this frame is in a different animation as they jockey for position to either attack or defend the ball carrier. This probably looks pretty awesome in motion, looking forward to seeing more. The player models are giving me a "Madden NFL Arcade" vibe. Why is a guy like Saquon Barkley thinner than he should be? Is it just me or do these look pretty much exactly like that old infamous McNabb concept trailer? 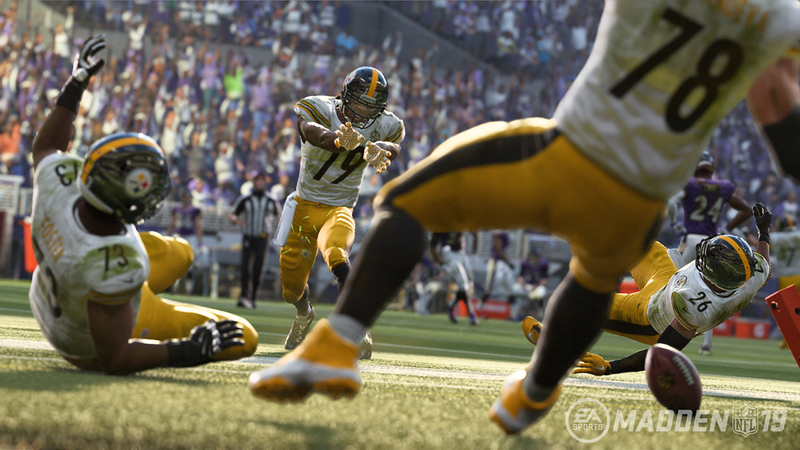 Madden has never looked bad in still shots. It looks like they went back to the player models and lighting they used the year Fitz and Polamalu were on the cover. Don't you think we should maybe wait for a bit before declaring there are no new gloves or cleats? There are new cleats. New under armor cleats . I think I saw new Under Armour cleats on Malcolm Jenkins on the EA site. Well there we go then. Were there Gatorade tables and coolers on the sidelines in madden 18? widen the nameplates ea!!!!! why are they still so squished together? This is my favorite screenshot, look at how the ball carrier upper and lower body seem separated as they are in different directions. Also check out how the ball is not perfectly tucked between the forearm and bicep, the ball is not even touching the forearm or bicep which is very nice! Looking forward to seeing the game in motion hopefully the player movement is universal and lives up to the hype. I hope they made them bigger too, annoyed me something big last year. 49ers colors are wrong. Again. But I can easily fix it with a tint change on the tv. There is a tad bit too much red in the gold. Or not enough yellow. It's not way off. It's barely off. But what is important is that they keep the correct metallic sheen on the helmets, and off of the pants, like they did in Madden 18. BTW those complaining about high contrast, real life has high contrast (in sunlight, anyway), and it helps a great deal in making two-dimensional objects look three dimensional. Trust me on this, I'm a bit of an artist. The day I learned how to make realistic looking artwork is the day I realized how important the stark contrast between areas in shadow and areas in light really is. Really would like to see if they fixed long sleeves and the undershirt. In Madden 18, the undershirt went past the elbows, and the long sleeves looked ridiculous. 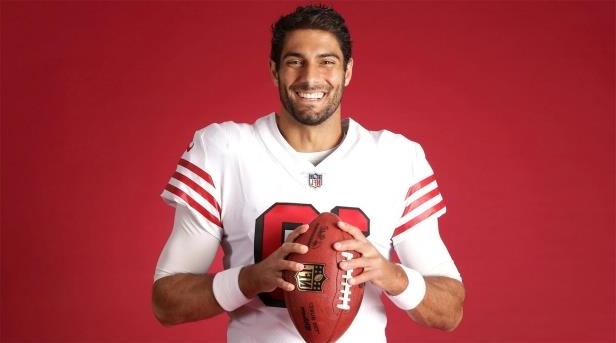 They didn't have the "short" version of long sleeves that so many QBs wear, the ones that kind of slant at an angle, like the ones my beloved Jimmy G wears. Ju-ju is obviously a Saiyan. That Barkley shove-off the Olinemen appears to be a contextual ballcarrier animation similar to what NFL 2k5 and All Pro Football 2k8 used. If that proves to be the case then that's promising. Yes, it's over a decade and two generations of consoles late but that's better than never. The same thing I was thinking. I was hoping Madden would finally add this. My first impression is like a lot of other people’s. The lighting looks off. There’s waaaay too many grass stains, especially on the Steelers pic. Cartoony over the top textures. It’s got a very madden 09 vibe. Madden usually looks good in stills. Motion is the problem but...just...well, yuck. This pic isn't a celebration, it's Battle Royale mode. Well, im hoping it's the opposite this year...unimpressive stills.....impressive in motion. NFL2k5/APF 2k8 definitely wouldn't set the world on fire with stills even at THAT time....but BABY!! !.....in motion? WOOOO!!! Not sure how you can say that. Real life has high contrast. In fact, this picture below has a higher contrast than the Madden one right below it. Look specifically at difference in darkness between the white and yellow in the sunlight versus the white and yellow in the shadow. Then compare to the Madden picture. If anything, Madden needs more contrast. Of course, it all depends on the lighting: there will be less contrast on an overcast day than a sunny day, but based on your complaint and the fact that the Steelers screenshot is a cloudless day nearing the evening, I'm not so sure you know what contrast is, no offense intended. But again, just look at the real NFL in sunlight, and look how much brighter the yellow on the player on the far right is in the sun versus in the shadow. As you can see, in real life, contrast is generally very high (the exceptions being overcast or rainy lighting, where shadows are softer and do not contrast as starkly with more lit areas). If graphics take a slight hit, I hope it's due to the fact that they are doing more things presentation-wise. I know they worked on interactive sidelines a little bit last year but if they really fleshed out things like actual players on the sideline and realtime subs, I'd be more than okay with it. I say it every year and my guess is it probably won't ever happen but I believe madden is the only major sports game with fake player models on the sidelines/benches. Maybe wait until you've seen a bit more than a handful of screenshots ? 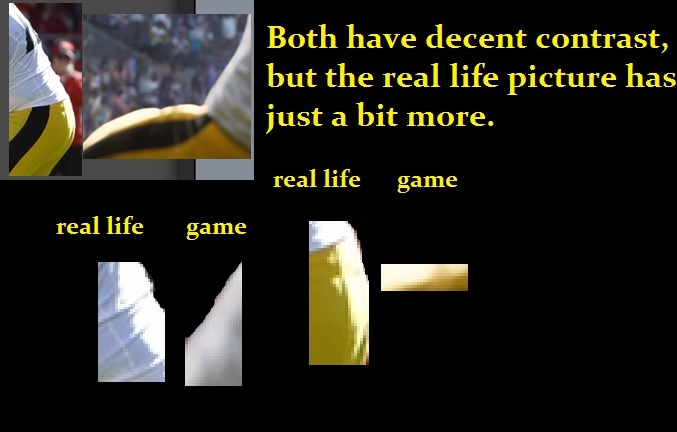 Right, I did a zoom in on the Steelers celebration pic and the cleats that Bell had on looked new too me so I wouldn't go off these early pics as confirmation. Sadly mouthpieces are a few years from being input into the game. Some reason, EA says, they cannot add mouth pieces with moving mouths and custom faces. I always thought that 2K had better animations and better camera angles than madden, even compared to now and like you said that's over a decade ago. The kicking cam in the 2k series was perfect as was the on field cam IMO. I thought the same thing, but it depends on which screen shots I'm looking at. Like those T.O. player-model stills. It looks like somebody made T.O. in one of The Sims games and put a football outfit on him. I love the lighting and models in that Steelers celebration photo, but the colors and the bodies of the players from that Barkley photo just look... off. New equipment will be shown during the presentation week I’m guessing. That never happens. Madden always looks best in stills, stiff when animating. When they finally updated the equipment a couple years ago they did the same thing where they released photos with old equipment only to showcase the new equipment later in a blog so that's a solid guess. EA be taking baby steps when it comes to equipment, damn near one addition or two a year, this year they had a cleats update that removed other cleats that was already in the game while adding two new pairs, but why do they have to get rid of things just to add something new with that logic we will never be close to satisfied. Looks like we get another year of sold out stadium crowds jumping up and down and cheering like lunatics for their 3-11 team that's losing by 30 points. I guarantee that comes more from the NFL than EA though. Gotta project Roger's fantasy NFL instead of reality. Just posted in the other thread, but that screenshot looks good. Idk something about it I really like. Probably the detail. I hope this means their are more team celebrations like in Fifa. 18 had too many solo celebrations. As someone who was not a huge fan of the initial screenshots I really like this. Something about the lighting gives it a more lifelike feel which is cool to me. That screenshot tells me they're going for a bit more of a realistic look to the game like we see on TV. It's as though they've added in some noise or some kind of filter that makes it look more authentic rather than cartoonish. If that's the case then I'm all for it. I'd love that. I always thought games should try to add a filter like that to their games to give them a more authentic look. One of the features this year did say "broadcast presentation". So fingers crossed. The one of the first screenshots released (and in the first post of this thread) is a group celebration. Yeah but is this "broadcast" presentation mimicking an actual real life broadcast, or some made up crap which goes "beyond" broadcast? Lol. For some reason Tiburon loves that garbage. I prefer Madden 12, Madden 10 wasn't great either imo. 12 was the best they've ever done. I was not a fan of Gus Johnson, but the overall package was pretty well done. My money is "beyond broadcast". Overlays that look like speech bubbles and things like that. Some of the stuff they attempt I don't mind as much, but some of it is just Ugh for my taste. Can't stand the on field camera stuff. Totally agree. They need smarter presentation. Some stuff makes no sense like you said. Ehh Very unimpressed. I fall for it every year. Is it just me or do the shoulder pads look different? They are. Equipment Guru already confirmed that shoulder pads/sleeves were remodeled. I, and many others, believe that they have separated the upper arm/shoulder model from the pad area to create more accurate player model. The jumping up and down, en masse and in ridiculous situations has long bugged me. They should look at what MLB The Show has done in terms of crowd attendance, reactions and diversity of clothing. I had one fan in the stands wearing a Kershaw jersey with his name on the back and thought "Madden doesn't even have the names on the jerseys for their sideline players".